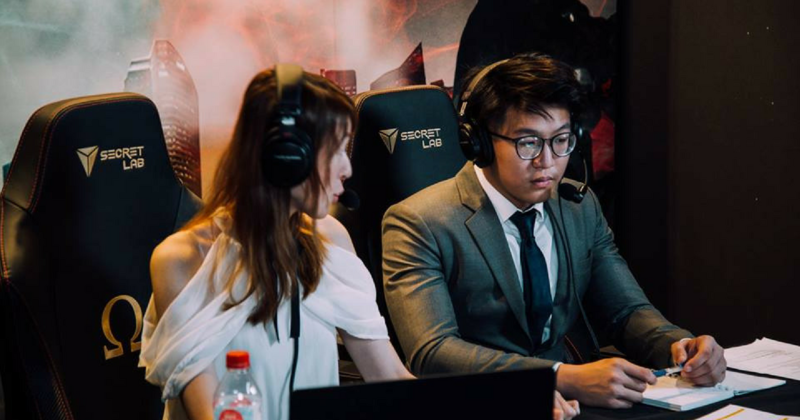 Singapore-based gaming chair maker, Secretlab, today (1 March 2018) announced its partnership with PGL, an esports company known for organising major Dota 2 and Counter Strike: Global Offensive (CS:GO) tournaments. Starting with this month’s Dota 2 Bucharest Major and PGL’s first large-scale PlayerUnknown’s Battlegrounds (PUBG) Spring Invitational, Secretlab chairs will be used by PGL tournament participants and stream casters. Rest assured, I meant it in a good way. This month’s Dota 2 Bucharest Major 2018 will have the top 16 international teams face off for a share of a $1 million prize pool. This major will also allow these teams to score qualification points for this year’s The International. The PGL PUBG Spring Invitational happening end of this month will, similarly, have 16 teams battle for a $100,000 prize pool ‘live’ from the PGL Studios in Bucharest. According to this, the esports industry raked in $1.5 billion in revenue in 2017 and is projected to hit $2.3 billion in revenue in 2022. It also reported that gamers who play games like, Dota 2 and League of Legends, have watched over 2.1 billion hours of content on Twitch and YouTube between April and October last year. The region has also seen larger, attractive prize pools at local tournaments, with the winners in the latest Malaysian Dota 2 tourney walking away with RM150,000.